Winston Peters, the 2017 General Election ‘Kingmaker’, is yet to choose New Zealand’s new government. The widespread speculation that the coalition negotiating window set by New Zealand First was too tight, has turned out to be correct. Negotiations started on October 7, when the special votes count was released, and ended on October 12, when the writ of the official election results was delivered to the Clerk of the House of Representatives. According to news reports, New Zealand First’s negotiations over policy concessions with both major parties have now been concluded, and the options for forming a government are being discussed by Caucus. The Party’s Board is due to meet in Wellington on Monday, and a decision on the country’s governing arrangements for New Zealand’s 52nd Parliament is expected early next week. There are three main options for the new Government. A full coalition deal with either National, or with Labour and the Greens, would see New Zealand First as part of the Government and their MPs as full Ministers inside Cabinet. A second option is a support agreement whereby New Zealand First would offer confidence and supply to either National or Labour and the Greens, in return for some ministerial posts outside of Cabinet. And a third option is for New Zealand First to sit on the cross benches negotiating each item of Parliamentary business, with either a National or a Labour-Green minority government, through a confidence and supply agreement, or an agreement to abstain on confidence and supply. It is understood that since the face-to-face discussions to date have only involved policy negotiations, any decisions regarding Ministerial positions will be negotiated by phone or text. It turns out that New Zealand First is not the only one to need the approval of Party representatives before a coalition deal can be agreed. Parallel discussions have been taking place between Labour and the Greens, which requires the approval of Green Party members before it can be finalised. A negotiation team, made up of the Green Party leader James Shaw, their Chief of Staff and three other members, must gain the agreement of a Negotiation Consultation Group, which is a group of ten, with half of the members chosen by the caucus and half by the party. Any final deal is then put to electorate delegates at a Special General Meeting of the Party in order to gain 75 percent approval. When it comes to the question of which of the policies that Winston Peters campaigned on, have been prioritised in coalition talks, apart from a hint that some form of foreign ownership restrictions are in the mix, it is all pure speculation. However, with the Party stressing over many years that there is an urgent need to boost the economic prospects of regional New Zealand, and to bolster export growth in particular, surely they will have prioritised their election promise to reduce company tax over three years to 25 percent – and the tax on export generated income to 20 percent. The point is that while New Zealand’s company tax rate was, at one time, one of the lowest in the OECD, we haven’t kept up. At 28 percent, our company tax is now one of the highest. That makes it extremely difficult for Kiwi exporters to compete in global markets – especially once the cost of transport and the other disadvantages of being a small country at the bottom of the earth are factored in. All around the world, company tax rates are falling, as countries compete against each other for business in the global marketplace. In Europe, corporate tax rates have declined from an average of 40 percent in 1980 to 18 percent in 2017, with Switzerland the lowest on 8.5 percent, followed by Hungary on 9 percent. Some countries introduced significant cuts to company tax years ago in order to position themselves as a magnet for international business. One of the best known is Ireland, which in 2003 reduced the tax on business profits to 12.5 percent. In 2015, it further reduced the corporate tax rate to 6.5 percent for business activities arising from research and development that has taken place in Ireland. Their objective is to attract these high value jobs to the country. In 2010, Singapore followed Ireland’s lead and introduced an exemption that reduced their corporate tax rate of 17 percent to 8.5 percent for business income up to S$300,000. In fact, since the global financial crisis, the downward trend for company tax has been accelerating around the world as governments have lowered their rates to chase GDP growth. 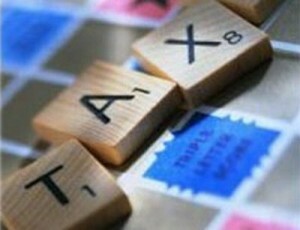 In the UK, corporate tax will be reduced from 19 percent to 17 percent by 2020. Next year in Sweden, the centre-left minority government will cut corporate tax from 22 percent to 20 percent. Corporate taxes have recently been reduced in Japan, Spain, Israel, Norway, and Italy. At the present time, only six countries – the US, France, Belgium, Mexico, Australia and Greece – now have corporate tax rates that are higher than New Zealand’s, and almost all of these are in the process of reducing their rates. In Belgium their 34 percent tax rate will be lowered to 25 percent by 2020, with a 20 percent rate for smaller companies to be introduced next year. In Greece, the 29 percent corporate tax rate will be lowered to 26 percent by 2020. In France, President Emmanuel Macron has promised to reduce corporate income tax from 33.3 percent down to 25 percent over the next five years, and in Australia, company tax is set to reduce from 30 percent to 25 percent over a ten year period. Contrary to what the critics say, over the long term, reducing company tax does not result in a loss of revenue, since the incentive effects of lower taxes broaden the tax base, boosting economic growth and job creation. In Canada, when the federal company tax rate was reduced from a high of 38 percent in the mid-1980s to 15 percent in 2012, tax revenues increased to greater levels than when the rate was more than double. It was the same story in Britain – in the 1980s when corporate taxes were 52 percent, revenue was equivalent to 2 percent of GDP, while in 2015, when the rate was lowered to 19 percent, tax revenue was higher at 2.4 percent of GDP. To remain internationally competitive, it is crucial for an export based economy like New Zealand, to have lower business taxes – especially now that the US is planning to slash their corporate tax. While the United States has one of the highest company tax rates in the world at 35 percent, the reality is that for more than 30 years American companies have been reducing their tax burden by merging with foreign firms and shifting their tax bases abroad. Called “corporate inversion”, it started in 1982, when McDermott, a New Orleans based construction company, moved its headquarters to Panama to escape the US tax net. Now more than sixty major US companies have head offices based overseas in more than a dozen countries, with Ireland and tax-free Bermuda, the most popular. The United States remains the only developed country to tax the worldwide income of its business corporations. This means that foreign income is taxed by the source country and then taxed again once it is repatriated to the US. As a result, many Americans keep their capital offshore, instead of reinvesting it in the US. Piles of cash are “stuck” overseas – so the companies can avoid the US’s punitive taxes. However, reform is now on the way through a raft of fundamental tax measures being proposed by US President Donald Trump. There are four main components to the reforms – simplifying the tax code, reducing taxes for Americans, making US tax rates more competitive internationally, and enabling Americans to repatriate the trillions of dollars that are currently kept offshore so the money can be reinvested in the US economy. A key to his proposal is a reduction in the corporate tax rate to 20 percent – the largest such reduction in US history. Donald Trump’s proposed reduction in corporate tax will accelerate tax competition around the world. China’s leaders are worried that the planned cut in the US rate will spark a ‘tax war’, threatening China’s growth as other countries lower their tax rates to increase their competitiveness. This has led Chinese President Xi Jinping to propose cutting China’s corporate taxes and reducing regulation in order to ensure the country’s competitive edge is maintained. “Politics aside, the best tax plan is also the simplest: I have long advocated that the sole source of general revenues should come from a flat tax… Low flat taxes are intended to stimulate economic activity. They would also work to eliminate the strategic advantage for taxpayers to divide their income among various entities, such as trusts, foundations, and family partnerships. Right now, Winston Peters has a unique opportunity to lead New Zealand into a far more competitive future. By holding firm to his commitment to cut the company tax rate he can deliver on his promise to create jobs, boost the economy, and lift the living standards of all New Zealanders. Let’s hope he has the foresight to recognise just how important creating this future legacy of growth for New Zealand really is. Would you like to see lower tax on business as part of a coalition deal? Yes a good idea if it gives companies a boost in income which would be used to improve their operation. Not so good if it merely adds to shareholders pickings or leads to an increase in GST. Chris.